Square Enix are probably not very happy right now, as they have had two pretty major leaks ahead of their FF15 event later today. The first, less major leak, is regarding the next demo for the game. We were obviously all treated to the demo if you picked up FF 0 HD, but this is obviously an update after listening to player feedback. This announcement was supposed to be saved for their event, which doesn’t begin until 3AM UK time, but Gematsu leaked some early trailers and images. We also now know that a new demo is coming tomorrow. The demo is fairly lightweight at 4.5GB, and this time will follow young Noctis in a dream sequence. You will also have a summonable Carbuncle. You can see a trailer below, which imagines Yoshitaka Amano’s concept art in 3D. The huge leak for today, however, is the early leak of the release date. Square have been saving that reveal for their event (probably near the end of it,too) but it was leaked by Gamespot. The video with this bumble has since been removed, but not before someone over at NeoGAF screencapped it. Safe to say, Square Enix are probably going to be breathing fire over at Gamespot right about now. Obviously, we will get confirmation of the release date later on tonight, but the cat is not only out of the bag, it has torn it to shreds. As you can see in the image below, Final Fantasy 15 will release on September 30. Sadly, there is no mention of the rumoured PC version… yet. 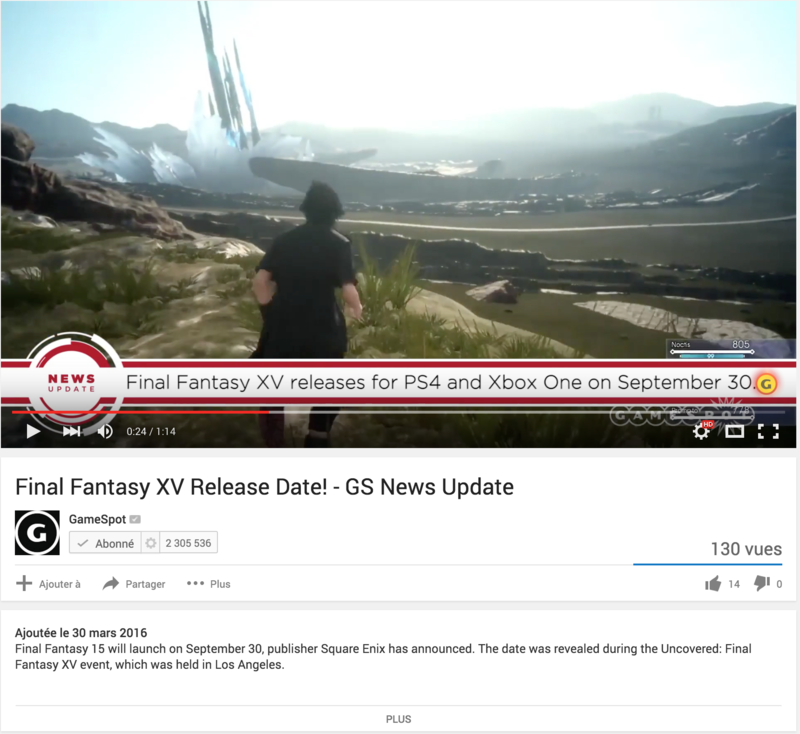 Tagged with ff 15, ffxv, final fantasy 15, final fantasy xv, leak, release date, square enix.